Get Your Very Own Private Label Rights To This eBook “Work-At-Home Ghostwriter” Today! 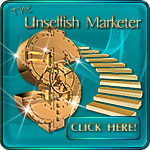 Now You Can Become An Instant Author Of A Potential Bestseller And Cash In 100% Of The Profits! This 42-pages eBook is written with 12pt, Arial font with each chapter in a new page. The eBook is properly formatted so that you can easily edit everything to your heart’s content! This package comes with PSD files and you can edit the graphics in Adobe Photoshop. Feel free to add your name, URL, change the Title, colors, add photos, etc. It’s all your choice! Included with this package is a professional, pre-written sales letter and thank you page already done for you. Put your name and order link, slap it up on your website and start selling right away! I have also included a pack of 20 PLR articles. Feel free to create an report, make a blog post, spin it for SEO submission, etc. Imagine what you can do with it!